Romance is in the air at the Southbank Centre Festival of Love 2016. And we're not just talking candlelight and marriage proposals, this Southbank Centre Festival celebrates all kinds of affection. Confused about which Southbank Centre tickets to book? With so many performances, art installations and events happening throughout the summer, we've rounded up our favourites for your personal guide to the Festival of Love. This year's festivities swing into action in June, though there are related installations from May, and are heavily inspired by the current refugee crisis, encouraging Londoners to engage with the biggest issue of our day, with poetry from exiled writers, discussions of female refugees, and opportunities to meet refugees new and old. The festival is divided into a series of themed weekends including the Opening Weekend (28th - 29th June) and those named for the seven Ancient Greek definitions of love. Are you engaged to be married? Would you like to just get the wedding over and done with? Well now you can, with the Festival of Love’s all-inclusive wedding package from just £2,450. 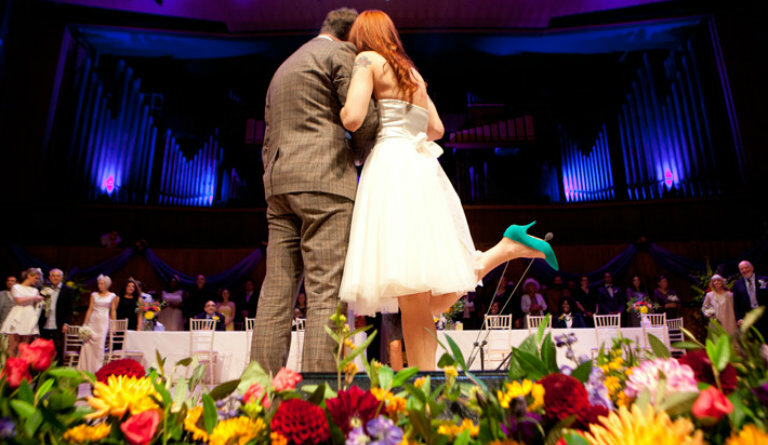 Take your place on the Royal Festival Hall stage alongside other couples taking the plunge in an en masse celebration of lurve. What better way to fall in love your fellow Londoners than by stripping off and frolicking together in a fountain? 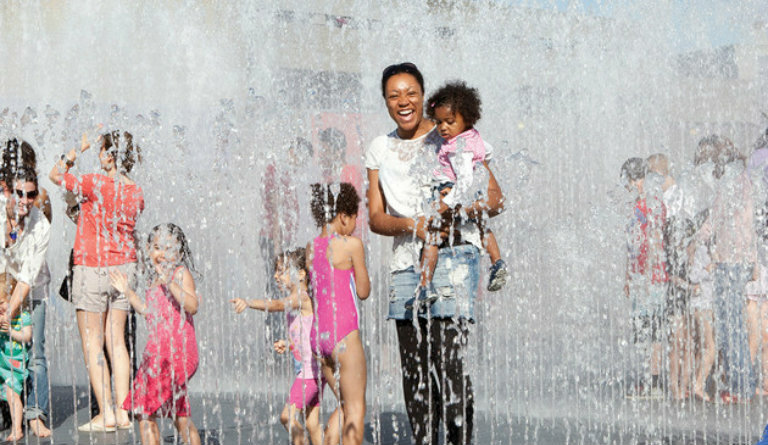 You might remember Jeppe Hein’s aquatic sculpture Appearing Rooms, which is so well loved that it has returned to the Southbank Centre every summer for the last eight years. Hein’s witty reinventions of the park bench will also be dotted around throughout the duration of the festival. The fountain is on every day except for Mondays (not including bank holidays). Our top pick of Festival of Love theatre is the aural and visual extravaganza that took Edinburgh Fringe by storm. Klanghaus: On Air, part live art, part music, is promenade theatre, where audience members move throughout the unseen areas and roof spaces of the Southbank Centre. Bring sensible shoes. The most sure to please of the Festival of Love theatre must be Acruboffo's warm-hearted, whimsical circus. Acrubuffo is the collaboration between two circus performers who met in Afghanistan, got engaged while street performing in Scotland and married in China. Watch flying umbrellas, giant balloons, kites that float over the audience and the biggest snow globe you’ve ever seen at this show for all the family. Chimamanda Ngozie Adichie is the Nigerian writer who has stolen the hearts of the English-speaking world with some of the best writing of the last decade. Her books are full of hard-edged heroines, often caught between continents, navigating issues of race and gender prejudice, and is best known for Half of a Yellow Sun and Americanah. Ngozie Adichie will be in conversation with a special guest, unnamed as yet. (Watch this space!) She lives between Nigeria and the US and rarely speaks in the UK, but when she does she is spellbindingly brilliant, so this really is an unmissable opportunity. Tickets will fly. So kick back in the Queen Elizabeth Hall Roof Garden or the cool kids' favourite, copaCABANA beach, and enjoy this summer of love highlight on the Southbank Centre calendar. Click here to see the Southbank Centre's full list of events.